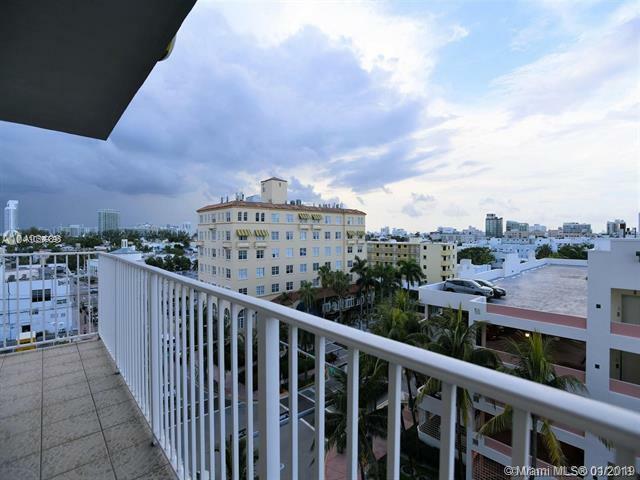 In the heart of S. Beach near shopping, entertainment, & dining, 1/2 block from the ocean, this unit is waiting for the new owner's personal touch. The large bedroom is partially enclosed, and can be easily modified for more privacy. 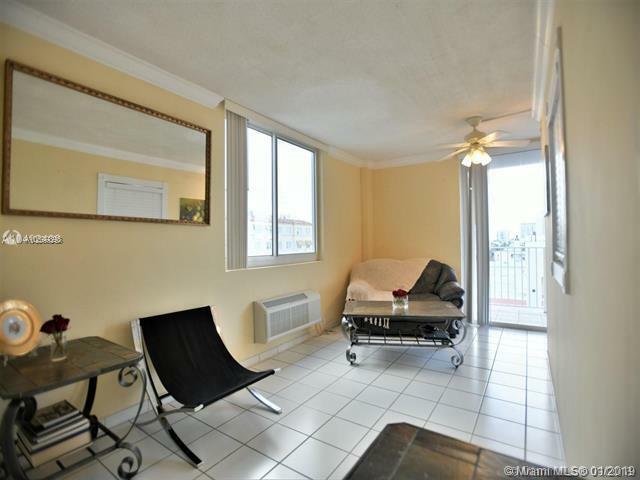 There is almost a 180 degree view from the balcony encompassing views of the ocean & the city. Amenities include rooftop pool, new gym, new high capacity generator, remodeled lobby. 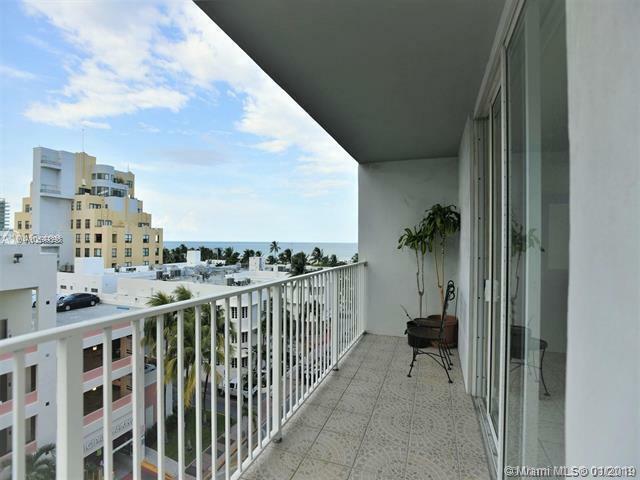 A short distance to world famous Ocean Drive, Lincoln Road, shopping, and dining. One assigned gated parking space. Pet friendly.